A unique award, a silent auction, special presentations by Bradley Fauteux and Peter Middleton, recognition of sponsors and volunteers plus a generous gift from Bruce Power, highlighted the Huron Fringe Birding Festival Banquet on May 25. Over time The Festival itself has grown substantially and is recognized as one of North America’s premier Birding Festivals. The banquet paid tribute to original and present volunteers, leaders, sponsors and participants who have helped make the Festival what it is today. A sub-committee of The Friends of MacGregor Point Provincial Park, the Festival is now known for new and innovated programs and events featuring first-class leaders. Organized and operated totally by a volunteer committee, the Festival’s events showcase MacGregor Point Park and the Bruce Peninsula. All revenues go towards new initiatives by the Friends of MacGregor. The introduction of the new Norah Toth Award underlined Mr. Fauteux’s comments. This award carries Norah’s name because she represents the values that underlie its origin. Norah is an originator of the Festival as well as a leading and driving force in its successes. North Toth presents the new award named after her to its first recipient Mary Rapati. This Award will be presented annually to the individual who has made a significant difference to the Huron Fringe Birding Festival or other local nature activities. The first and obvious recipient is Mary Rapati who for years has made unselfish service to and involvement in the Festival and the Friends of MacGregor a model for volunteerism. Plaques were also presented to long-time volunteers Doug Martin, Joan Crowe, Mark Wiercinski and again, Norah Toth, for their help in driving the Festival forward. Bruce Power acknowledged their important, long-term relationship with the Festival and Friends of MacGregor with a generous contribution of $4700.00. Their involvement and donation go a long way in the development of Festival programs and keeping registrations costs low. 120 people attended yet another successful Huron Fringe Birding Festival Banquet. The Festival ends June 2nd. Planning for the 2014 Festival begins shortly thereafter. 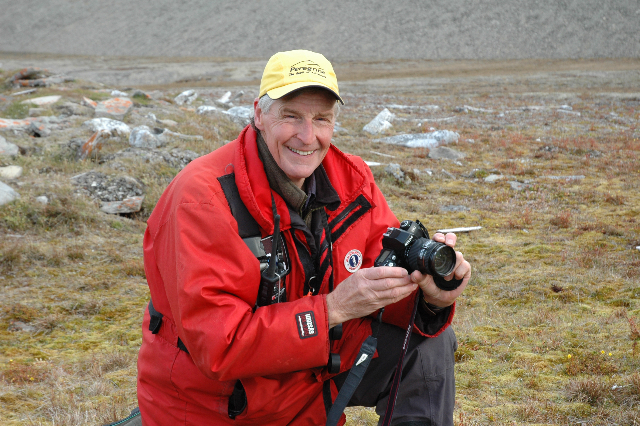 Doug Martin – founding president of The Friends of MacGregor Point Park and his award. The day dawned grey, overcast and cold. The chill wind off Lake Huron was unforgiving. After a week of cold, rain- filled days the forecasted promise of sunshine was no where in sight. It was 2 degrees at 5:30 AM at the Registration Tent when the ladies arrived to get ready to welcome the first wave of eager event participants at 6:00 AM. A little later Doug Pedwell, on behalf of the HFBF Committee paid tribute to some of its generous sponsors with a special breakfast and presentation in the warmish Visitor’s Centre. Not all of our sponsors were there, but those that were received a “Thank You Plaque” with a beautiful photo of a Piping Plover. (Left to Right) Peter Harrison, Keith Early, Ian Anderton, Paul and Helen Crysler, John King and HFBF Committee Member Doug Pedwell. 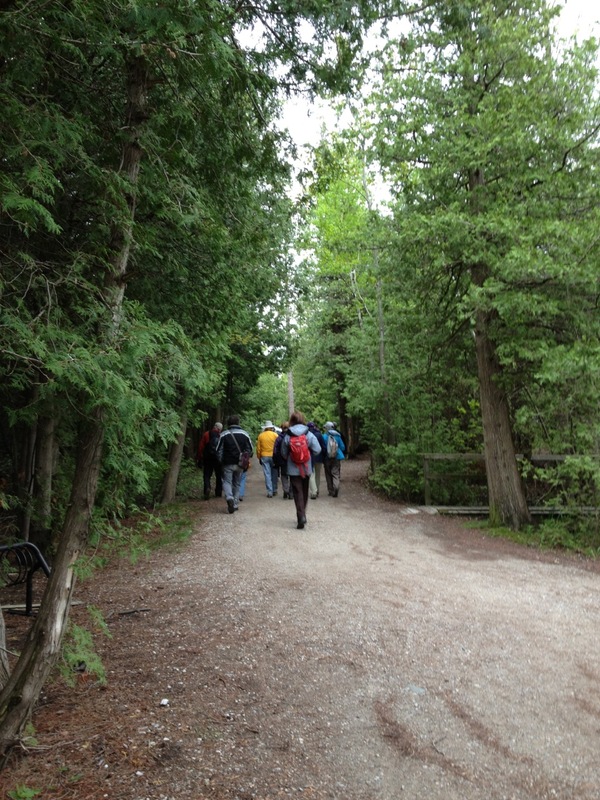 And the 2013 Huron Fringe Birding Festival walks into its first day. (P.S. The sun broke through in the early afternoon). Registration Packages are organized for all of you who have signed up for events at this year’s Huron Fringe Birding Festival. Pick up yours at the big white Registration Tent just before the Visitor’s Centre. You can’t miss it. We’ll be there…ready for you…long before sunrise for all you early bird 6:00 AM Events registrants. And if you’ve missed your morning coffee, not to worry…we’ve got it hot and ready at the Visitor’s Centre along with your favourite donuts and muffins from Tim’s…for a nominal fee. Perhaps the selfless giving of her time is embedded in the DNA of Mary Rapati. She was, after all, a Candy Striper at the age of 14. Maybe the seeds of her enthusiasm for volunteering were planted then. Today, thankfully, her penchant for giving freely of her talent, for getting involved, has contributed to the mutual benefit of the Huron Fringe Birding Festival (HFBF), the Bruce Birding Club and the Friends of MacGregor Point Park, to name a few. True, but Mary has always been a catalyst. And because The Norah Toth Award is presented to the individual who has made a significant difference to the Huron Fringe Birding Festival or other local nature activities then its obvious that Mary should be its first recipient. Originally from Alberta, Mary moved to Port Elgin with her husband, by way of Peterborough, in 1989. Some time around 1998, when the HFBF was in its infancy, Mary came along prepared to work hard for something she loved and believed in. At that time there was no pre-registration, no big committees, no brochure and nothing on-line. Obviously Mary liked the challenge because she made-ready a brochure, picked up mail daily, suggested alternative events, organized hand-written hike lists, sent out confirmation letters and handled conflicts by phone. She worked tirelessly on all aspects of the Festival from suggesting and writing nametags and distributing brochures to introducing the idea of Liability Insurance, Risk Management Procedures and Co-Coordinator Manuals. Nothing escaped her attention. She initiated improved signage in the Park to help direct people. She was there in the dark to welcome and hand out registration packages to 6:00 AM hikers. But Mary wasn’t alone in her dedication to the Festival. While always working along with other volunteers she also made her involvement a family affair. Her husband Tony designed a computer system for better organization of Festival people and events. Her son worked on the early website for the Friends of MacGregor Point Park. And her three children worked for the Park during the summer. Her volunteerism went beyond the Festival as she kept birding records for HFBF, the Bruce County Bird Finding Club, the Bruce Birding Club and birding author Mick Pickup. Mary led the committee that ran the Circle of Friends Workshop hosted by the Friends of Macgregor Point Park. The Workshop involved co-operating associations with provincial, national or municipal parks, museums and historic sites, members of groups involved in preserving the natural and cultural history of Ontario and park staff and site staff who would like to know more about setting up and maintaining a partnership with co-operating associations. It was no small task. The agenda offered 10 courses over three days. The conference reflected the typical Rapati enthusiasm through the brochure, dinner by a renowned chef, fund raising, silent auction and Justin Trudeau as the keynote speaker. She asked for funds from Bruce Power so that students from Kincardine to Owen Sound could experience his presentation. If all of the above isn’t enough Mary and her husband are considered butterfly experts. They were, for a time, the only Canadians to identify the rare Cherry Gull Azure. Up until then it was thought to only exist in New England, but they found it in Bruce County and again at MacGregor and Inverhuron Parks. They then went on to find it in other provinces across Canada. Twice a week for 6 years they went butterfly hunting, almost overwhelming the Lepidoptera Society with their records. The society puts out a Butterfly Atlas every year and the Rapati’s are acknowledged as contributors. From 2000 to 2007, they ran a Butterfly Count sponsored by MacGregor Point Provincial Park, training enthusiasts, providing slides and giving them resources to work with. Their Bruce County Butterfly lists are now included in all HFBF registration packages, and can be printed off the website of the Owen Sound Field Naturalists. 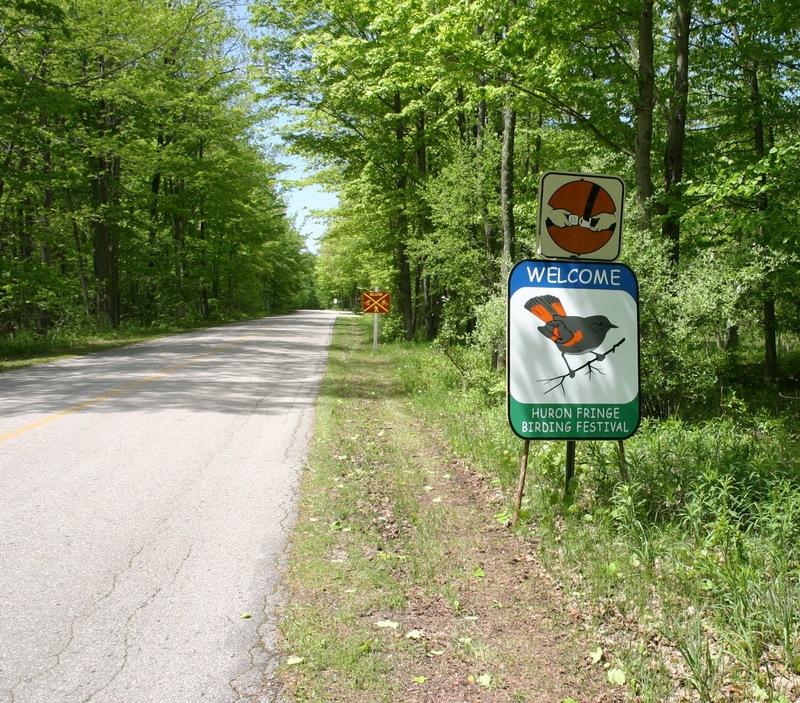 They started the Annual Butterfly Count for the Bruce Peninsula National Park. Mary and Tony have made Butterfly presentations all over the province to Naturalist Groups and especially to Horticultural Societies who want to know what plants attract which species. Both are qualified to band Monarch Butterflies as two of only 25 people in Ontario. Enthusiasm, involvement, determination, commitment the adjectives describing the quality of Mary’s attitude towards volunteerism could fill pages. Needless to say we are pleased to recognize Mary Rapati as the first winner of the new Norah Toth Award.